The event, which is hosted by the CU-STARS (Science, Technology and Astronomy Recruits) program, is free and open to the public between 8 p.m. and midnight, weather permitting. CU-STARS is an on-campus program focusing on outreach for CU-Boulder undergraduates from diverse backgrounds. CU-STARS is sponsored by the Department of Astrophysical and Planetary Sciences (APS) and organizes STEM (Science, Technology, Engineering and Math) education programs in schools and rural communities across Colorado. “The CU-STARS program encourages undergraduates and younger students to see themselves as scientists in the making by giving them access to faculty and other mentoring resources they might not get otherwise,” said Andrew Sturner, a graduate student in the APS department. The Messier catalogue, named for 18th-century astronomer Charles Messier, includes a host of astronomical objects ranging from star clusters to the remnants of supernovas. Messier himself was primarily interested in searching for comets, but kept records of all the non-comet objects he found along the way. The resulting catalogue of odds and ends would become one of the most famous lists in all of astronomy. Friday’s event will mark CU-Boulder’s first-ever “Messier marathon,” during which student stargazers will attempt to observe all 110 Messier objects in a single evening between sunset and sunrise. In the northern hemisphere, the annual window of opportunity for doing so lasts just three to four weeks in late March and early April and requires a moonless night. “Messier’s list is a treasure trove of all of kinds of interesting things you can see in the sky,” said Observatory and Education Director Seth Hornstein, noting that all telescope images taken during the event will be posted to the observatory’s Instagram account (@sboatcu). 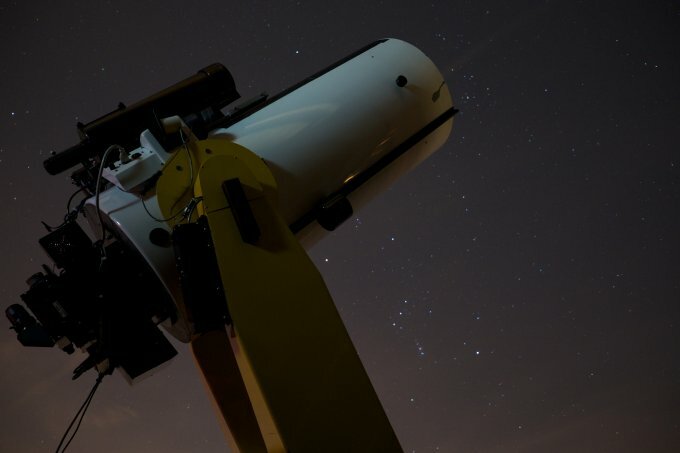 Weather permitting, the Sommers-Bausch Observatory holds free public stargazing events each Friday night during the spring, summer, and fall semesters while CU-Boulder is in session.